Manage your brand’s WeChat presence using Hootsuite. 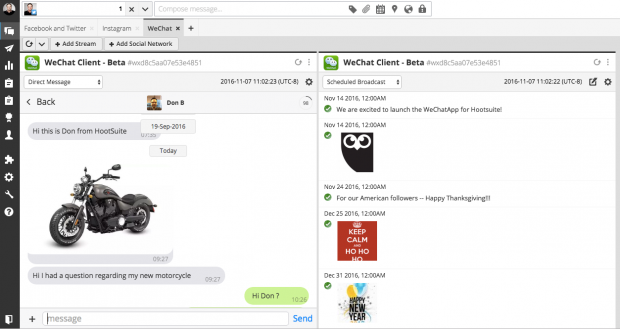 Send or schedule messages and engage WeChat followers directly from the Hootsuite dashboard. Try it free today.